he Roman Catholic Lectionary for Mass (1998 USA Edition). At Felix Just S.J. 's The Roman Catholic Lectionary For Mass - a site featuring comprehensive tables of editions of the Roman Catholic Lectionary. Jesus prays for the unity of the disciples, a theme that is also an important theme in sports films, but never was it as important as in the football film Remember the Titans. In 1971 at a new high school a black coach struggles to forge a winning team from white and black youth affected by three centuries of racism. "Glory and Giving That All May Be One," D. Mark Davis, rough translation and first thoughts, Left Behind and Loving It, 2014. SAMUEL, Kathryn Matthews Huey, Sermon Seeds, UCC, 2017. Process and Faith Lectionary Commentary, Easter 7, Bruce G. Epperly, 2014, "...bringing process-relational thought to people of faith." Girardian Reflections on the Lectionary, Easter 7, by Paul Nuechterlein & Friends. Preaching Helps (Easter 7A). Rev. Dawn Chesser, United Methodist Church General Board of Discipleship, 2014. Rumors, Easter 7, 2008, Ralph Milton, "Sermon helps for preachers with a sense of humor." RCL Lectionary Leanings, Up Up and Away? Edition, RevGalBlogPals lectionary discussion, 2014. Christian Suffering in a World of Suffering, David A. SÃ¡nchez, ON Scripture, Odyssey Networks 2014. Video: Girls in Perill Around the World. "A Long Look at Heaven," John C. Holbert, 2014. "Eternity Lived," Christopher Burkett, Preacher Rhetorica, 2014. "Perspective," Steve Godfrey, Church in the World, 2014. "Fit to Love," Suzanne Guthrie, At The Edge of the Enclosure, 2014. "''All Mine Are Yours and Yours Are Mine,'" Janet H. Hunt, Dancing with the Word, 2014. 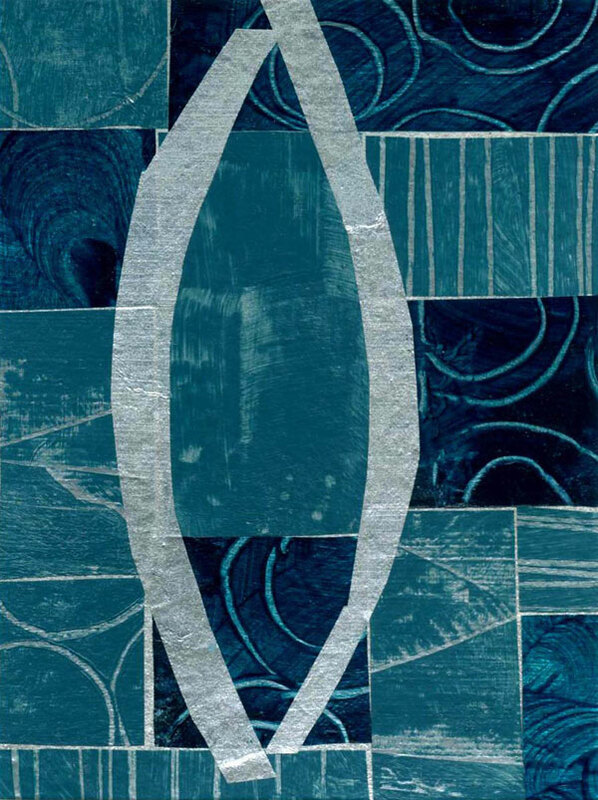 "Wrapped in Prayer," Sharron R. Blezard, Stewardship of Life, 2014. "A Missional Reading of the High Priestly Prayer," Tim Suttle, 2014. "Exalted at the Right Hand of God," Dan Clendenin, Journey with Jesus, 2014. 2011. "That We May Be One," Thomas Beam, 2014. "Into Glory," Bob Cornwall, Ponderings on a Faith Journey, 2014. "Coming Home," John van de Laar, Sacredise, 2011. "Do you really want One?" Peter Woods, I am Listening, 2011. Liberal Lectionary Resources, Easter 7A, Chris Ayers, 2011. "God the King," Timothy Wayne Good, The Naked Alien, 2011. "The Unlikely Power of Humility," Pastor Sharron R. Lucas, The Stewardship of Life Institute, 2011. "Beam me up, Scotty," Melissa Bane Sevier, Contemplative Viewfinder, 2011. Dylan's Lectionary Blog, Easter 7. Biblical Scholar Sarah Dylan Breuer looks at readings for the coming Sunday in the lectionary of the Episcopal Church, 2005. "Our Power Is Our Weakness," Louie Crew, Proclaiming Gospel Justice: Reflections on the Scriptures and Progressive Spirituality, The Witness, 2005. "Jesus didn't say, 'Beam me up," the Rev. Ben E. Helmer, Sermons that Work, Episcopal Digital Network, 2014. 7 Pascua (A) – 2014, por El Rvdo Dr. Alvaao Araica, Sermones que Iluminan. "Anxiety," Frederick Buechner Sermon Illustrations. Ministry Matters, June 1, 2014. Christian Suffering in a World of Suffering, David A. SÃ¡nchez, ON Scripture, Odyssey Networks 2014. Bible Study, Easter 7, 2014, Brian Pinter, Sermons that Work, Episcopal Digital Network. Estudio de la Biblia. 7 Pascua (A) por Brian Pinter, Sermones que Iluminan, 2014. Worship Planning Helps (Easter 7): Worship & Preaching Notes, Hymn Suggestions and Worship Resources from the United Methodist Church General Board of Discipleship. Life In Liturgy, Easter 7A, 2014. Worship resources for Easter 7 by Dallas A. Brauninger from SermonSuite. Worship Resources, Easter 7, 2014 Mindi Welton-Mitchell, Rev-o-lution. Mustard Seeds, "Power to Spare," Easter 7, 2014. A lectionary-based ideas resource for leaders of contemporary worship, Ann Scull, Gippsland, Australia. Worship Resources, Easter 7A, 2011, John van de Laar, Sacredise. Ascension. Worship and Liturgy Resources, Easter 7/Christian Unity, by Rev David Beswick, Uniting Church in Australia. Ascension Sunday (Easter 7), Rev. Thomas L. Weitzel, Evangelical Lutheran Church in America. Lectionary Liturgies, Easter 7A, Thom M. Shuman, Presbyterian Church (U.S.A.), 2014. Laughing Bird Liturgical Resources, Easter 7, by Nathan Nettleton, South Yarra Community Baptist Church, Melbourne, Australia. Prayers, blessings, Eucharistic prefaces and scripture paraphrases. Lector's Notes, Easter 7, Gregory Warnusz, Saint Jerome Parish, Bellefontaine Neighbors, MO. Notes and commentary for those reading this week's lectionary texts to the congregation. Liturgical Planning and Music Suggestions, Easter 7, CanticaNova Publications. Outside the Box, Easter 7A, litanies, poems and prayers written for the local church, by Katherine Hawker. Liturgies and Worship Resources: Ascension, Year A, Sacredise. 21st Century Worship Resources, Easter 7A, UMCDiscipleship.org. Offertory Prayers, Easter 7A, UMCDiscipleship.org. Clip Art, Easter 7, Fr. Richard Lonsdale, Resources for Catholic Educators. Easter 7 at Cerezo Barredo's weekly gospel illustration. Follows Latin American Roman Catholic gospel reading, though most gospels texts/themes are found in the index. Liberation emphasis. "Toy Phone," video, John Stevens, Dollar Store Children's Sermons, 2014. "The Lord Reigns," Barry Marshall, Sacredise. Hymns of the Spirit Three, Easter 7A, Richard E. Hurst, Universalist National Memorial Church. Hymn and Song Suggestions, Easter 7A, 2014, annotated suggestions from Natalie Sims, Singing from the Lectionary. Word to Worship â€“ Find Contemporary Worship Songs based on Scripture, RCL, Roman Catholic Lectionary, Narrative Lectionary, LCMS lectionaries, etc. Lectionary Hymns, Easter 7A, UMCDiscipleship.org. Shepherd Sounds, Easter 7A, Background information for hymns and choral music following the lectionary from the Episcopal Church of the Good Shepherd, Austin, Texas, by Eric Mellenbruch and David Zersen. Sing for Joy, Easter 7A, 2008. Choral reflections on this week's lectionary readings, St. Olaf College. Weekly Devotions, Faith Formation Journeys 2014. Lectionary Puzzles, Easter 7. Word search puzzles in RTF or plain text, by Reg McMillan, St.Stephen's Presbyterian Church, Peterborough, Ontario. "Being Squirrely," Fran Woodruff, On the Chancel Steps, 2014. The Key of Life -- Children's sermon by Cynthia Cowen based on John 17:1-11 from SermonSuite. 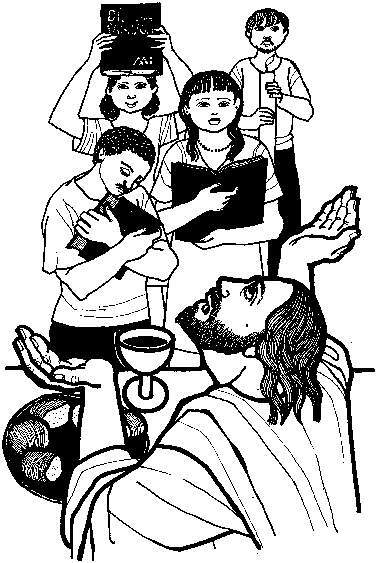 Worshiping with Children, Sunday after the Ascension, Including children in the congregation's worship, using the Revised Common Lectionary, Carolyn C. Brown, 2011.